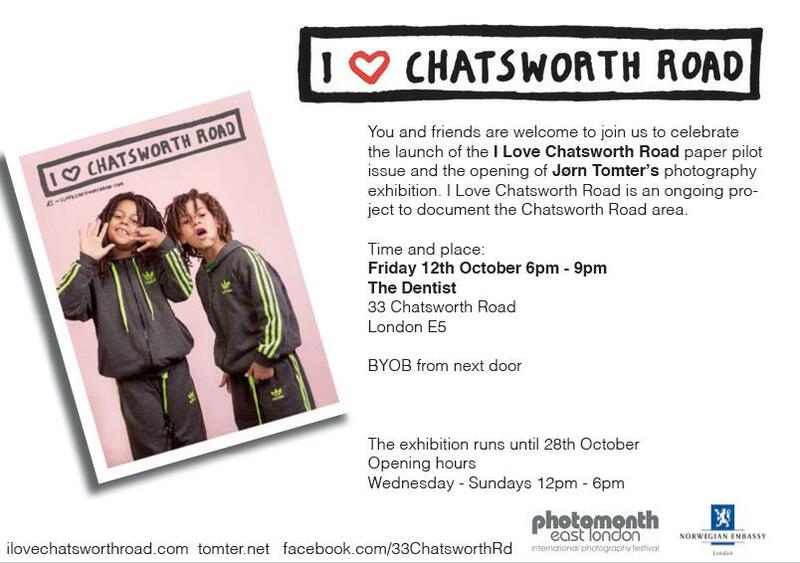 Tomorrow night (Friday) sees the launch of photographer Jorn Tomter‘s magazine, I love Chatsworth Road. It is at the Dentist, 33 Chatsworth Road E5 from 6pm-9pm. 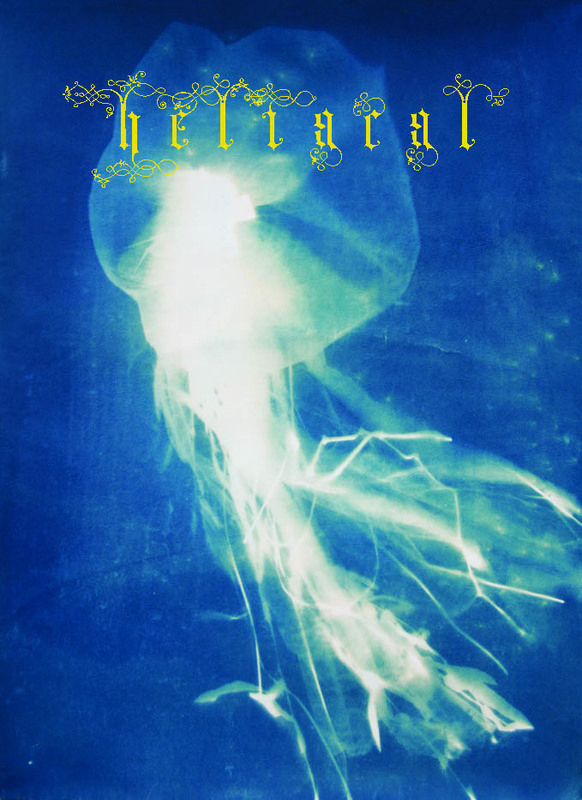 The exhibition is on Wed-Sun, 12pm-6pm until October 28. From the introduction to the magazine, Jorn: “Once there were green fields and big detached houses all over our neighbourhood in Clapton. Glorious days! Then came the purpose-built market street Chatsworth Road with all its surrounding streets and houses. Clapton became part of the city. It changed, and it hasn’t stopped changing since. A couple of wars came and went. Some of the buildings were bombed and became playgrounds for kids while gradually being replaced by estates and tower blocks. Many moved to Essex to get a tan after sunbeds were invented, and new people moved in to the Chats area. Tasty jerk chicken became the new smell of Sunday. When everyone started to shop at supermarkets, the market suffered and eventually closed down a couple of decades ago. Squatters came and went. The mafia came and went. The Murder Mile came and went. Elizabeth Taylor came and went. The cheap houses attracted low-income families, dreamers and creative people. Today the cheap houses are not so cheap any more and the coffee is probably as good as in Sydney. The market is back to please rather than as a necessity. Who knows what will happen. Some will praise it. Others will complain and say it was much better before. It’s part of human nature to long for what once was. One remembers the good bits and neglects the bad experiences. I suspect that not all the owners of the farms and mansions welcomed the growth during the 19th century. I love the community here and the majority of the people I talk to seem to like it too – simply because they feel it is a strong sense of community. I also love photography as a medium to record and as a reason to approach strangers. I started to document the area the first time I came here – it was like entering a timewarp and I knew it was going to change – plus I also fell in love with the people. I have learned that who I once thought were dodgy guys in hoodies coming out of the Pedro club can be sweet daddies and have a keen interest in what I am doing. I don’t represent any shops or individuals, but I only have a strong curiosity to explore. What you find in this paper is a taster of what ilovechatsworthroad.com contains – the website I use as a platform for all the stories I come across and the photos I take. If it is well received and I don’t lose too much money, I will make another one. The aim is to publish it once a year or biannually and include some local young people in the process. Hopefully some of them might like to help out with producing this paper.